In 2014, everyone was afraid of the security situation deteriorating in Afghanistan. Even though I was also afraid, it was one of the most adventurous years of my life. This was the year that I visited Parwan province for the first time as a tourist. Beautiful Parwan is the place of my dreams; it is a province where I have a lot of wonderful memories and where I would like to live. As a visitor, I saw everything as beautiful: the winding pathways and mountain roads, the singing river, the grape fields and apricot orchards, the cows grazing, and even the women walking around in blue burqas or colorful headscarves. The first thing I noticed was how the pathways and roads in Parwan twisted and turned through the hillside. Driving on the rolling roads, I felt a breeze. I had never smelled such cool, fresh air, not dusty or warm, but perfect weather that made me feel like I was in the paradise that the religious scholars talk about in the mosque. The scent of the grasses and the trees together with the breeze made a natural perfume. The high mountains and jagged rocks and jutting stones that had fallen on the ground in different designs made the roads interesting to look at, but also dangerous. And there was water everywhere. The cool water in the small river made a nice gurgling sound and I enjoyed throwing stones into it and making rings. The next thing I remember about Parwan is the people and their culture. On this trip, I was escorted by a man from Parwan named Ali. He was a very good man and a welcoming person with an open mind. He talked about all the things that we saw around us. Along the way, we had many conversations about Parwan and what the people are like in Parwan. He was the first local person who I met and he was different from someone in Kabul. I always thought Parwan people were the same as people of Kabul, but they are only similar in some ways. One thing all Afghans have in common is our hospitality. 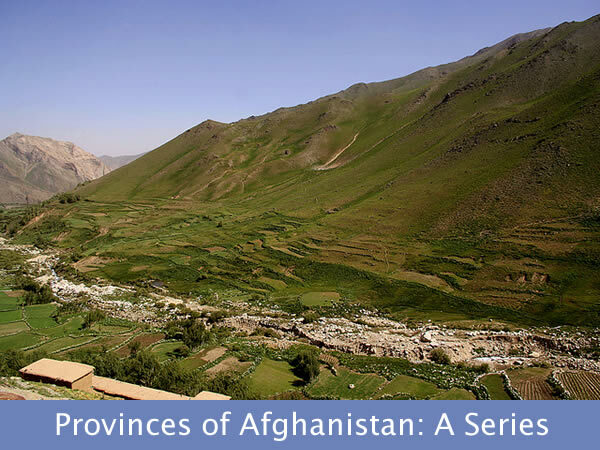 Before my first trip to Parwan, I had been to India, but I had never visited another province in my country. For the first time ever, I saw a part of my country from the perspective of an outsider. The driver and I could both see that the people of Parwan were different from us. But Ali helped us to understand the local customs. He told us stories as we ate delicious bolani bread and sambosas pastry and drank my favorite yogurt drink, doogh. I noticed that Ali and the driver both turned pink. They were worried about the way I was traveling. There were two problems. The first problem was that I did not wear a burqa and I had no mahram for my trip. The second problem was that I did not realize the road was dangerous for me. The driver said that we had to be careful not to meet any Talib. If Talib saw us they would stop us and ask us about our trip. At that point, I began to worry because I had these two men with me and I did not want any of us to be hurt. But we traveled through Parwan without any problems. As we drove, we stopped so I could talk to people and take photographs. We saw women in their blue burqas and colorful scarves working in fields with men, and I learned that, according to their culture, it is all right for men and women to work together. In Parwan province I met women from Charikar and Shikhali. The women seemed to be open to activities but had limited opportunities and support for them. I talked to many women and a few men and asked about what they want from the government. These people all wanted education for young girls and boys. They wanted more schools nearer to where they live and more books and other equipment. I saw the girls wearing colorful clothes and I wished that they would all have a shiny future. To get this dream, I know that we have to empower women not only in Parwan but also in the whole country. I talked to an 18-year-old girl who was going to get married soon. She said that she went to school to learn how to read and write so that she could help other people in her village. I believe that girls like her who go to school before they get married are important. They can be the leaders or the mothers of future leaders. Some women in Parwan province have attended programs for running small businesses, like apricot farms, and other programs funded by international aid. They now help their families financially. I met with some grape farmers and some apricot farmers. I met men and women who had learned new ways for better production of these fruits from USAID projects. Many people in Parwan also have cattle. I think it is good for women to work on farms because it gives them status when they earn money and they can use the money for their children’s school expenses. One day I had lunch with all of the people in a small village. I loved the food and their traditional way of eating using traditional plates and bowls. All of us were seated around the dastarkhan, a cloth that is put on the floor upon which the food is laid out. The older people started eating first. The villagers had prepared many different local foods, and I tasted everything. I liked their qurootie, a lunch food made from yogurt. There was also rice with beef and homemade qaimaq, a special pink milk tea, tandoori bread and yogurt. When we finished eating, we said our prayers and thanked all of the people in the village. Along with the beauty of Parwan, I still remember the beauty of Gul Banoo, a woman with black hair and the beautiful almond-shaped eyes who encourages girls’ education and works for improving women’s status in the family. In the future, I hope that the helpful men of Parwan will one day see their girls as empowered as their boys. Whenever I see grass and pink flowers, I remember Parwan. I wish peace and love for beautiful Parwan! I really enjoyed the essay. You are right, the traditional cultures are deeply embedded in villages – mainly in remote areas and women are supposed to live in accordance with the culture and custom, be it right or wrong. Therefore the only way to free women from the clutches of traditional cultures, is to empower them through education and awareness.